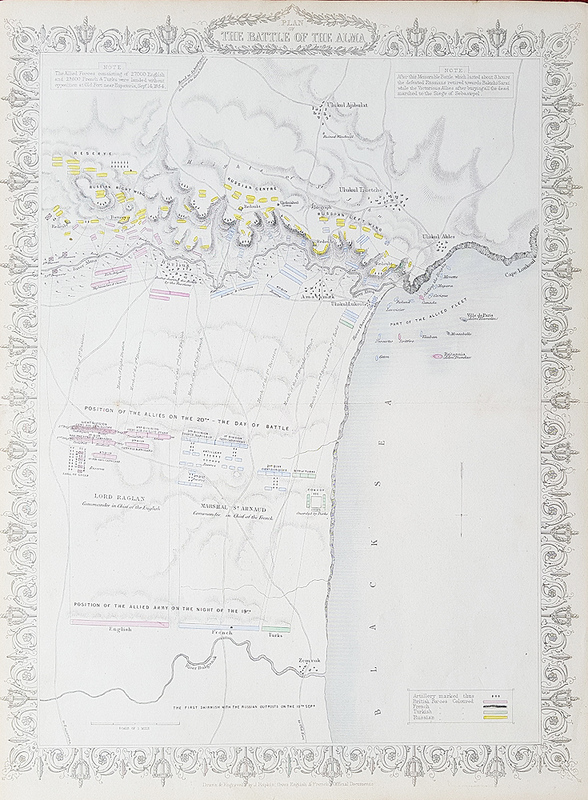 Description: Detailed and decorative mid nineteenth century map of the developing Battle of Alma including the troop movements. Drawn and engraved by John Rapkin. Early copy before the Tallis edition with vignettes added. Condition: Good lithographic imprint, later hand colouring, folding copy as published.